Jeff and I had a great weekend watching conference and being sick. 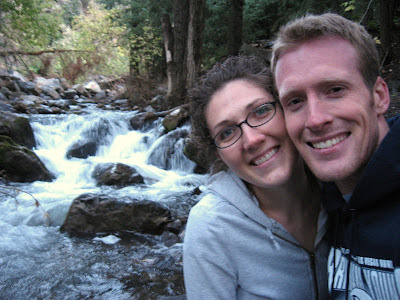 Finally, on Sunday evening we felt like getting out so we went on a drive through Nebo Loop in the Payson, Ut area. It was so beautiful! The leaves were full of color and having just rained there was a wonderful mixture of fresh fall scents and colors, snow, and blue skies. 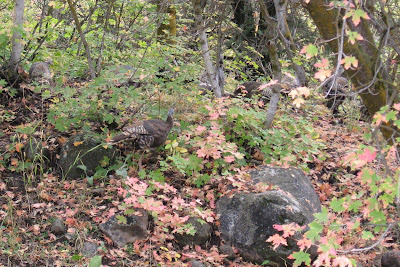 How many wild turkeys can you find in this photo (look closely)? What a great view!! I LOVE this time of year!!.. Don't you?? What gorgeous scenery, Shelley and Jeff! 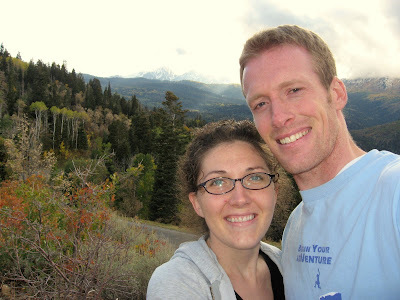 I loved the mountains near Payson when we lived there. Is Mt. 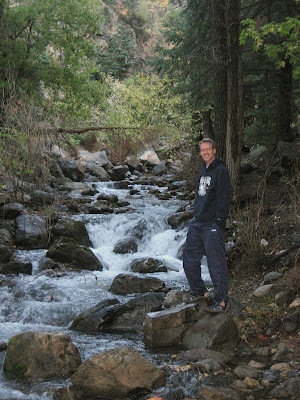 Nebo scenic route the canyon near Payson or out of Spanish Fork? The cascading river water among the rocks is most invigorating! There's nothing like nature to calm and heal us, I find. You're both looking well. . . I pray that you'll be well soon. Have you received a blessing recently? Let the Holy Spirit guide your healing. You're both in my thoughts and prayers. u know, for being sick the two of you look awesome! (and by that i didn't mean that you look good for being sick) You are so beautiful! You guys are such a cute couple!! Those pictures are so pretty. I miss the Utah mountains.